Wire Grid Wall Panels Are Used For Cost-Effective Retail Merchandise Display Applications. 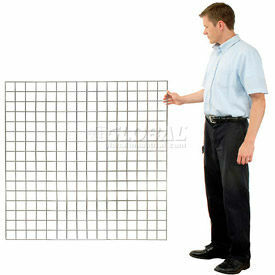 These 3" x 3" square Wire Grid Panels are solidly made for long lasting durability and dependability. Versatile cost-effective display units can be used on the wall, ceiling or free-standing on the floor. Can be displayed singly or connected to other panels, allowing for a wide range of display possibilities. Available in Chrome, Semi-Gloss White and Semi-Gloss Black finishes. Wire Slatgrid Panels Create Multi-Use Displays Used For A Variety Of Retail Display Applications. Wire Slatgrid Panels are made of chrome with a variety of color finishes for strength and long lasting durability. Slatgrid panels offer grid panel versatility with the ability to use all types of slatwall accessories. Can be used on wall, ceiling or freestanding on floor singly or connected to other panels allowing unlimited display possibilities. Available in a variety of size configurations to meet display requirements. Color Finishes are Chrome, Semi-Gloss Black and Semi-Gloss White. 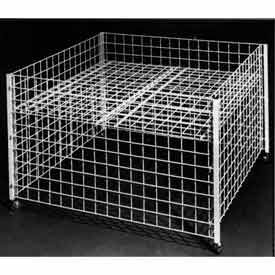 Wire Grid Cubbies Are Used For Retail Stocking And Display Applications. 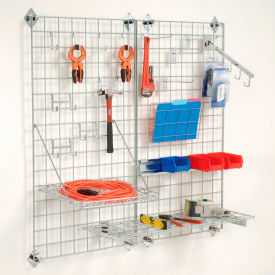 Wire Grid Cubbies are solidly made for long lasting durability and dependability. Epoxy coated grid-style mini panels combine to form stackable cubbies in any configuration. Multi-use design allows for stocking or display of hard or soft lines. Black or White coated units are available in 10 x 10, 14 x 14 and 16 x 10 inch overall sizes. Wire Grid Panel Shelving Create A Variety Of Multi-Use Displays For All Types Of Retail Applications. Wire Grid Panel Shelving is made of chrome with a variety of color finishes for strength and long lasting durability. 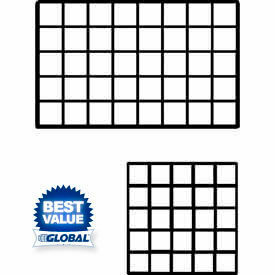 For use with hard or soft line retail displays involving grid panels. 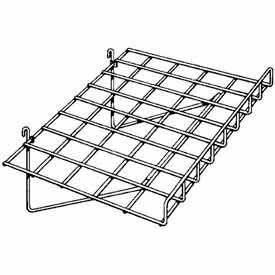 Perforated metal shelves easily handle heavy loads. Types are Straight Shelf, Slant Shelf, Sloping Shelf, Triangular Shelf and Folding Bin. Color Finishes are Black, Chrome, Epoxy Chrome, Glossy Black, Semi-Gloss Black, Semi-Gloss White and White. Dimensions vary per type. Wire Grid Dump Tables & Bins Are Used For Sale Or Promotional Programs. 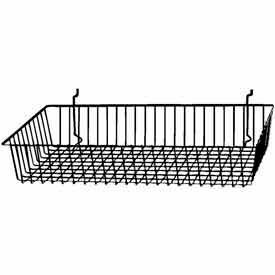 Wire Grid Dump Tables & Bins are designed for long lasting durability and strength. Choose from Dump Bins, 3-Tier Bins, Clip Wands, Folding Dump Tables and S-Hooks. The reliable grid design is great for shoes, CDs, DVDs, books, magazines and more. Provides high visibility and easy access. Select models have casters (wheels) for increased mobility. Dimensions vary. Wire Grid Panel Legs And Bases Are Used For Retail Merchandise Display Applications. Wire Grid Panel Legs And Bases are solidly made for long lasting durability and dependability. Wide selection of various type legs and bases used to support wire grid panels for display of retail merchandise. Leg types include L-Shaped for use against wall or Rectangular Tubing free-standing display style. Base styles include Triangle w/Casters, Gondola and 4-Way w/Casters. Selected finishes available are Chrome, Semi-Gloss White, Semi-Gloss Black, White and Black. Wire Grid Panel Brackets Are Used For Retail Merchandise Display Applications. Wire Grid Panel Brackets are solidly made for long lasting durability and dependability. Various types are available to meet particular grid display support need or application. Wall Brackets enable retailer to mount grid panel directly to the wall using four (4) wall brackets. Screws not included. Shelf Brackets have knife style design with lip. Accept shelf rests and bumpers for glass shelves. 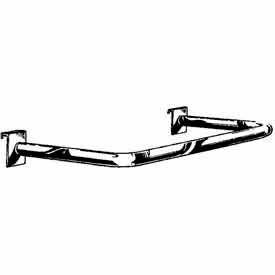 Hangrail Brackets are designed to hold round or rectangular tubing. 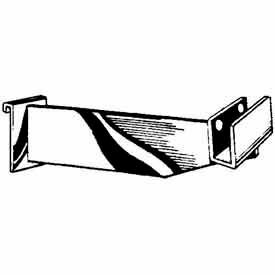 Adjustable Shelf Brackets allow shelves to be positioned at five different 50, 70, 80, 90, and 110 degree angles. All brackets are available in 12 or 14 inch lengths (except Wall Brackets) and Chrome, Semi-Gloss Black and Semi-Gloss White finishes (Adjustable Brackets Chrome only). 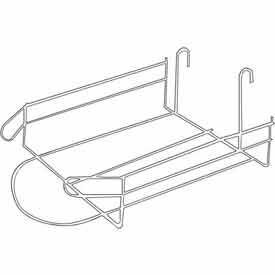 Wire Grid Panel Hooks (Bulk Quantities) Are Used For Prominently Displaying Hung Merchandise With Or Without Hangers. 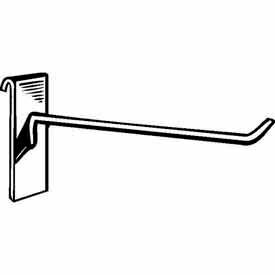 Wire Grid Panel Hooks (Bulk Quantities) are made of chrome for strength and long lasting durability. Grid hooks designed for holding small packaged goods or lightweight hanging items. Gridwall single garment display holds up to three (3) garments on hangers with disc ends to prevent hangers from sliding. 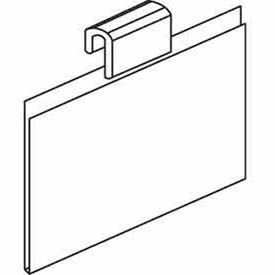 Notch hooks hold single garment on hanger or to display individual products including picture frames. 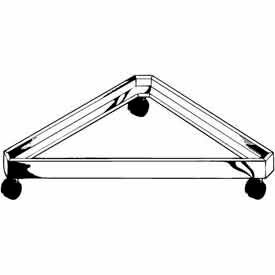 Used for light to medium weight hanging merchandise. Types are Grid Hook, Hook For Gridwall, Gridwall Single Garment Display and Flush Notch Hook. Color Finishes are Chrome, Semi-Gloss Black and Semi-Gloss White. Dimensions vary per type. Wire Grid Face-Outs Are Used For A Variety Of Retail Merchandise Display Applications. Wire Grid Face-Outs are solidly made for long lasting durability and dependability. 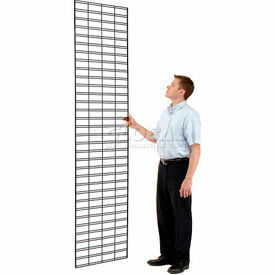 Various types available for display of retail merchandise on wire grids and display panels. Include Millinery Displayers, Straight Arms, Face-Outs with Disc at End, Wire Cap Displayers, 5-Hook Waterfalls, 7-Ball Waterfalls, Adjustable Scarecrow, and Rectangular Tubing Face-Outs. Available in various sizes and selected Chrome, Semi-Gloss White, Semi-Gloss Black and Grey finishes. Foam Cap Pad for Millinery Displayers also available separately. Wire Grid Panel Hangrails Are Used For Prominently Displaying Merchandise In A Variety Of Retail Environments. Wire Grid Panel Hangrails are constructed with chrome tubing for strength and long lasting durability. Quarter Circle design primarily for two (2) grid panels to be connected at right angles creating free-standing display. 48 in. Straight style connects two (2) parallel grid panels for displaying hung garments. U-Shaped design for use on single grid panel. Types are Quarter Circle, 48 in. Straight and U-Shaped. Color Finishes are Chrome, Semi-Gloss Black and Semi-Gloss White. Dimensions vary per type. Acrylic Gridwall Sign Holders & Book Shelves Provides Clear Message Displaying. Acrylic Gridwall Sign Holders & Book Shelves are made of acrylic for long lasting durability and dependability. Sign holder clear design allows viewing of literature from either side. J-rack flat bottom design holds and displays multi-sized books. Types are Book Shelf For Gridwall and Sign Holder For Gridwall. Dimensions vary per type. Color finish is Clear. Package quantity is 1.